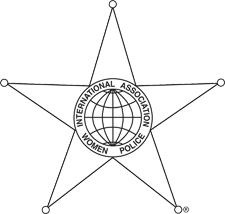 The International Association of Women Police (IAWP) is a unique, richly diverse, and growing organisation with global reach: we have Members, Affiliates, Friends, and strategic partners in countries around the world. Our Vision is a world where police reflect the diversity of the communities they serve and where human rights are protected. Our mission is to strengthen and raise the capacity of women in policing internationally. We are guided by values that urge every member to embrace diversity, to be open, honest, and fair, to listen to others, to operate professionally, and to improve through change. • Women’s concerns are often ignored due to cultural or social pressures, by prejudicial or stereotypical views and a poor understanding of their needs. • Empowered women in policing can deliver real change, not only to their colleagues but also to women in the community. • When female officers are more visible, women in the community are more likely to believe their concerns are valued and being addressed. • Female officers professionally trained and equipped can play a vital role in removing the barriers to women’s access to criminal justice. • By ensuring women within the police are seen to be treated with dignity and recognised for their contributions, law enforcement will become a more attractive career choice for women. The Sponsorship/Partnership opportunities presented will represent an agreement between the International Association of Women Police and interested individuals or organisations and are separate to any agreements made with individual IAWP conference committees who will be able to offer additional opportunities relating to their specific conference.